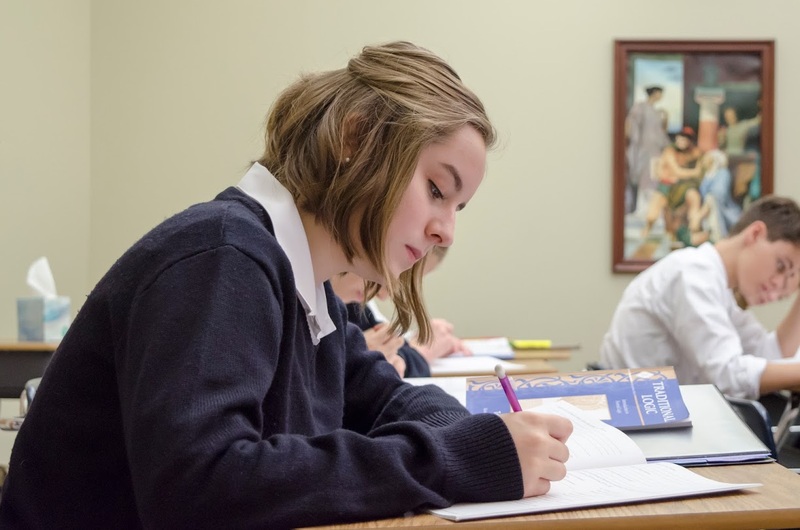 The Louisville Cottage School is located on the Spring Meadows campus of the full-time Highlands Latin School in Louisville, Kentucky. The school meets Mondays and classes are offered in à-la-carte fashion. Courses offered include Latin, Classical Studies, Literature, Composition, and Science. In addition, Study Hall is offered during the Classical Studies and Literature blocks. Courses are taught by HLS full-time faculty and class size is kept to a minimum teacher to student ratio, typically around ten to one. All instruction is provided in-class, with independent work being completed at home on the remaining days. Classical Studies | 10:00 – 11:30 a.m.
English Literature | 12:00 p.m. – 2:00 p.m.
Logic | 10:00 – 11:30 a.m. Composition | 2:00 – 3:30 p.m. 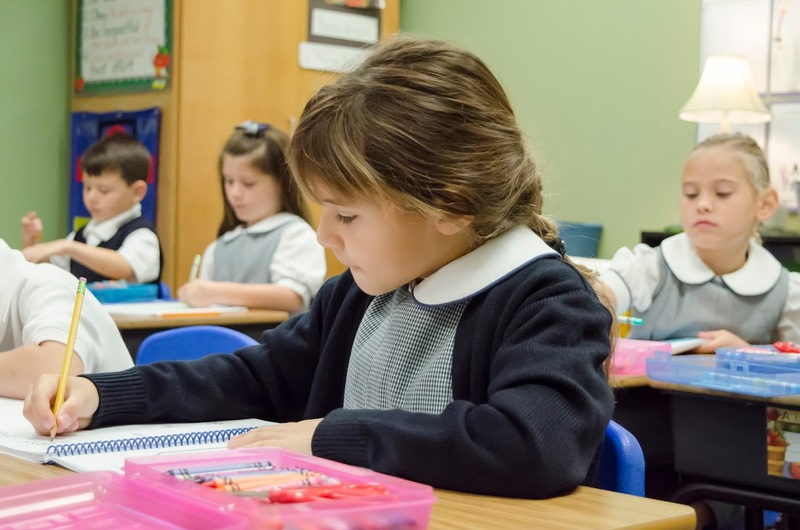 The Highlands Latin Cottage School Second Grade program is a full-day class, meeting from 8:30 a.m. – 3:30 p.m. with breaks for lunch and recess. The program will cover all 2nd grade subjects, including Latin, Literature, Penmanship, Phonics, Spelling, and Math. Class will be conducted in the Primary Building of the Spring Meadows Campus, but students may be dropped off at normal drop-off time with siblings in the Patrick Cottage. Shirts should be either polo or button-down and have a collar; they can have long or short sleeves. Shirts should be tucked in at the waist at all times. Note: No emblems, logos, or insignias (except the small brand-name insignia that comes on some shirts). Shorts should be solid-colored khaki (tan), brown, navy, gray, or black. Shorts should extend to within an inch of the knee. Note: No denim, stretch, spandex, or cargo-style shorts. Slacks should be trouser-style, straight-legged slacks and should be worn with a solid-colored belt. Slacks should be solid-colored khaki (tan), brown, navy, gray, or black. Note: No denim or jean-style pants; no stretch, spandex, or yoga pants; no cargo-style pants; no sweatpants. Skirts should be solid khaki (tan), brown, navy, gray, or black. Skirts should be no shorter than one inch above the knee. Solid-colored (blue, black, brown, or white) knee socks or crew socks should be worn. Conventional athletic shoes or standard school shoes are acceptable. Sweaters and sweatshirts must be solid-colored with no logos, emblems, or messages written on them. A collared shirt (in accord with the guidelines above) should be worn under the sweater or sweatshirt at all times.